We’re pleased today to have Andrea Allen from The Ridges Resort in Hiawassee, Georgia with us. Andrea currently serves as Senior Sales Manager and is responsible in part for all wedding inquiries and bookings. 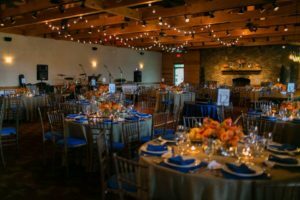 Follow our interview below as you get to know about another fantastic and unique place to have your wedding in the north Georgia mountains. Unique Events: Thank you Andrea for allowing a few minutes of your time. I think a great place to start would be to give us a few of what you might consider ‘high points’ about The Ridges Resort. The Ridges Resort: We are located on the shores of Lake Chatuge surrounded by the majestic Blue Blue Ridge Mountains. We offer 66 newly renovated lodge rooms with 52” flat screen tv’s and presidential suite mattresses in each room. Our full service restaurant provides your guests many delicious options with a southern flare and hospitality. Unique Events: For future brides reading this, what could you tell them about the minimum and maximum size party you can accommodate? The Ridges Resort: Whether you are looking for an intimate ceremony with few of your closest friends or a big party for everyone to enjoy, we can accommodate up to 200 people indoor and 300+ lakeside. Unique Events: Is your venue able to afford brides and grooms the option to have either an indoor or outdoor wedding? The Ridges Resort: If you are looking to get married indoor in front of a beautiful rock fireplace or out under the stars we have the perfect location for you. Unique Events: One of the things we always stress to brides who want to have an outdoor wedding is to make sure the venue of their choosing is either able to provide an alternate indoor location or has the space necessary for a tent in the event that the weather doesn’t cooperate on their wedding day. Is your venue able to offer an alternative indoor setting? The Ridges Resort: We provide one indoor rain back up with each reception package. 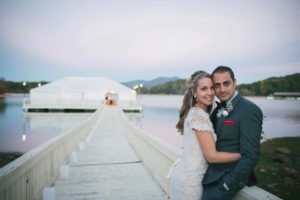 Unique Events: What types of services does The Ridges Resort typically offer its bridal clients? The Ridges Resort: Each reception package includes Bartenders, Servers, Set up and cleanup. Unique Events: For other wedding related services that you might not offer directly such as photography, planning, flowers, hair/makeup, officiant, DJ, etc., how do you go about handling that – do you typically offer brides something in the way of a recommended vendor list? 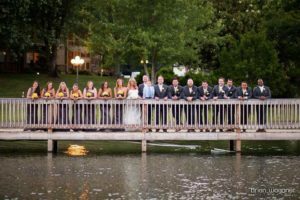 The Ridges Resort: For brides that are out of the area, we offer a preferred vendor filled with vendors that are familiar with The Ridges Resort and previous brides have given us great reviews. Unique Events: For the bride-to-be who is interested in making a weekend of their wedding, what could you tell her about things to see and do here in the area? Any specific ones that you feel have been favorites of wedding guests? The Ridges Resort: While the wedding guests are here anticipation the main event there are many activities on property such as pontoon boats, relaxing on the shore or taking a ride in a seaplane. Each evening we all come and relax by the fire pit reflecting on the day and enjoy s’mores by the fire pit. We can also provide a list of area activities such as; Winery tours, Spa, Casino and for those who are little more adventurous, white water rafting & zip lining. Unique Events: In our interviews we sometimes like to do a little exercise where we ask our interviewees to finish a sentence that we will start and we feel like this kind of helps our brides-to-be get some real clarity on who a venue is and who it feels like it is a good fit for. 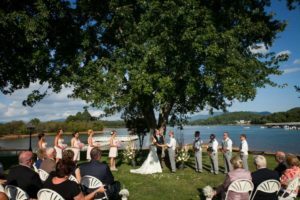 The Ridges Resort: ‘The Ridges Resort is the ideal wedding venue for a bride and groom looking for a relaxing fun atmosphere where friends and family have time to get to know one another. Unique Events: What should the reader know about how far in advance they should book with you – are there times of the year that are busier than others? Our booking window is historically 6 months to a year. The Ridges Resort: However, if your date is not flexible, you may consider securing your date up to 18 months in advance. The Ridges Resort: We offer site tours by appointment during the week and are also available on weekends. If you would like to schedule a site tour please send a couple dates you are available and we will get you scheduled as soon as possible to secure your date. The Ridges Resort: You can contact me directly at a.allen@theridgesresort.com or my cell at 706-897-1555.